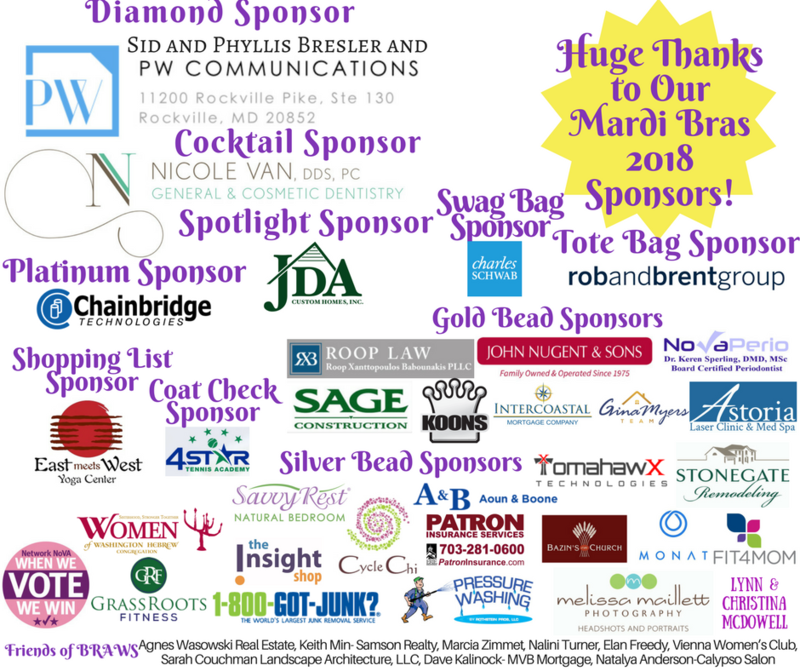 Thanks so much to our MB 2018 Sponsors! We are so fortunate to have the support of so many amazing businesses and organizations! PW Communications- provides full service proposal, business development and contract support to companies of all sizes, worldwide. Over the years they have supported myriad clients on hundreds of proposal efforts, for contracts as large as $10billion+, earning a reputation as the "go-to" company for superior proposal support. Regardless of the size of the bid, their mission is to provide services that position the client for a win. Nicole Van DDS, PC- Dr. Van has over 20 years of professional experience in the field of general & cosmetic dentistry. Providing top quality patient care is her number one priority. Dr. Van has been committed to working with people towards achieving their "smile" goal. She is an avid proponent of further education and perfecting her skills as her interest for design and creativity continue to be the motivating elements in her career. JDA Homes- Founded in 1992 by Dennis E. Rice, J.D.A. Custom Homes, Inc. is an established premier custom homebuilder, specializing in unique custom build and design. J.D.A. specializes in building single-family custom homes. J.D.A. works with local architects to offer its clients construction management services as well as architectural and site design. The Rob and Brent Group- The Rob & Brent Group is a preeminent residential real estate team in the DC Metropolitan residential real estate market. Rob and Brent have consistently been an award-winning team and have sold in excess of $115 million in 2017. ﻿David Edwards of Charles Schwab- David will ﻿partner with you to understand your goals, create a personalized plan, and provide investing guidance. You’ll understand where your money is invested and why, how your investments are performing, and how much it’s costing you. Plus you’ll have access to Schwab’s portfolio management expertise, insights, and specialists. It’s a modern approach to wealth management—so you can take ownership of your financial life. Chainbridge Technologies- a software company located in Tysons Corner and founded in 2003. Their emergency planning, preparedness, response, and recovery systems are utilized by tens of thousands of emergency managers and responders across all levels of government and the private sector. Their innovative use of cloud, mobile, GIS, and social media technologies, combined with policy and operational subject matter expertise, is applicable to the full spectrum of emergency response missions encompassing both All-Hazard and CBRN incidents. NoVa Perio- Dr. Keren Sperling, a Board certified Periodontist is a specialist in the treatment of gum disease and implant dentistry. Dr. Sperling's commitment is to provide you with advanced top quality care while keeping you satisfied and comfortable. John Nugent and Sons- Northern Virginia's heating, air conditioning, plumbing, and electrical service experts, serving the Northern Va area since 1975. Quality home service you can count on…..your comfort is their biggest priority. SAGE Construction-HOME REMODELING IN NORTHERN VIRGINIA? Sage Construction takes your Home Remodeling ideas from dream to reality, with the help of a team of qualified professionals. If you have a home in Northern Virginia or a nearby area, the crew from Sage Construction would be glad to lend a hand. Their firm can help you throughout the entire process of planning your job, and they’ll do everything in their power to see that it’ll be completed promptly. Gina Myers- Intercoastal Mortgage- Gina Myers Team, with Intercoastal Mortgage, offers residential mortgage financing you can trust. They provide expert guidance and personalized solutions to help you secure the best possible loan for your new home purchase or refinance. Astoria Laser Clinic & Med Clinic- Look and feel younger with their state-of-the-art laser skin treatments, CoolSculpting and Venus Freeze treatments, and rejuvenating spa services! Koons Automotive Tysons-is a family-owned and operated automotive group since 1964. With 32 franchises in 19 locations in the DC area Koons represents Buick, Chevrolet, Chrysler, Dodge, Ford, GMC, Jeep, Kia, Lexus, Lincoln, Mazda, Mercedes-Benz, Ram, Sprinter, Toyota, and Volvo brands as well as full-line certified pre-owned vehicles. Koons is on the Top 15 list of largest automotive groups in the U.S., and one of the largest privately-held dealership groups in the nation. Koons was named one of Washington Business Journal’s “Best Places to Work” eight times. Roop Law PLLC- Resolving the Past, Preserving your Future. Roop Law is a different kind of family & divorce law practice. Client-centered and focused on preserving what is good in your family relationship. ﻿East Meets West Yoga Center-﻿East Meets West Yoga Center offers a safe, tranquil, and supportive environment to practice, allowing individuals to open to the possibilities of what could be. There are plenty of opportunities to start your yoga practice or enhance your existing practice at East Meets West Yoga with yoga classes seven days a week, weekend workshops, and other special events. They are a community dedicated to grow together. 4 Star Tennis Academy- 4 Star Tennis Academy offers classes for all levels of play. This multi-level design allows students to progress into new classes and work with many different coaches so that they may continuously develop their tennis game. When a family joins 4 Star Academy they are joining into a family of coaches and players that they can grow with throughout their tennis career. FIT4MOM- Falls Church|Vienna|Fairfax proudly offers prenatal fitness, perinatal fitness, mommy & me fitness, and HIIT workouts to mothers residing in the greater Fairfax area. Their programs are designed with the mom in mind. Whether you are looking to get a great workout during pregnancy, during maternity leave, or completely without kids, they offer a total solution for you. Grass Roots Fitness- Grass Roots Fitness was born from a basic idea to exercise with friends while enjoying the great outdoors. Their goal is to help women increase their flexibility, grow stronger and improve their overall fitness in an encouraging and supportive environment. The Insight Shop-The Insight Shop in Vienna offers classes and workshops to help you deepen awareness of yourself, others and the world; embrace your creativity, expand your knowledge; and commit to an authentic life. They offer workshops and special events designed to help you explore novel approaches to living well, connect with your creativity, and have fun in community. 1-800-GOT-JUNK Virginia North- 1-800-GOT-JUNK? Virginia North Just signed on as a SILVER SPONSOR for Mardi Bras!!!! They are a full service junk removal company. They go into your home or office, you point and they remove it. They recycle, donate, and reuse as many items as possible. Melissa Maillett Photography- Melissa specializes in personal, artistic and business portraits. She believes in the power of photographs to capture the "now" moment, and to make personal and business connections. She works with businesses for custom branding, and families for individual and family portraits, including senior portraiture. Network NoVa- Network NoVa's mission is to connect with others in Northern Virginia and beyond for the purpose of promoting the democratic values of equality, justice and human rights. 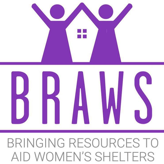 They help connect, share resources and ACT! Their initiatives keep people abreast of Virginia 2018 legislation and helping through the Democratic Promise. Patron Insurance- Located in Vienna, Patron Insurance Services has been serving its clients’ needs throughout the DC Metro area including Md, Va and D.C. since 1984. Patron’s commitment to clients is to understand their needs, provide the appropriate coverage, and maintain a working relationship that will be long lasting. They provide auto insurance, homeowners insurance, business insurance, and life insurance. Rothstein Pros LLC- Rothstein Professional Services have been providing high quality power washing services to Vienna, Oakton and the NoVa area for over 30 years, utilizing a revolutionary hot water-low pressure washing system that is tough on dirt and grime, yet gentle on the surface being cleaned and treated. Decks, siding, fencing, roofs, walkways, wood, concrete, plastic – they do it all. Don't ignore it, let them restore it! Savvy Rest Natural Bedroom- Savvy Rest is a single-destination resource for people who want to furnish their bedrooms with natural or organic (and beautiful) materials and they are right in Vienna on Maple Avenue! Lynn & Christina McDowell- We appreciate the support and encouragement of these two amazing women! Cycle Chi-is the first boutique indoor cycle studio in Vienna. With 20 New Schwinn Carbon Blue bikes, the FitMetrix Performance Data System and the finest cycle instructors around, you will enjoy a challenging and fun workout! Lisa Cheshier of Monat Global- MONAT's hair care product ingredients are naturally-based, safe, pure and sustainable. With a scientific board behind them to ensure quality and superior product development. WHC Sisterhood- Comprised of the women of Washington Hebrew Congregation at every age and stage of their lives, they come together for friendship and service to impact Washington Hebrew Congregation and the wider community through supporting youth and early childhood programs, fundraising, volunteering, community service and social action. Aoun & Boone PC- Dedicated to the practice of family law so they can serve you better. Why settle for an attorney who knows "some" family law? Do yourself and your family a favor. You deserve someone who focuses on nothing else but the law you need in your situation, right now, and in the years to come. Stonegate Remodeling, Inc.- believes that every new project is an opportunity to form or strengthen a lasting relationship with the customer, which can only be accomplished by consistently providing the highest level of service. And they do. At Stonegate Remodeling they live by the standard that “Good enough is NEVER good enough”. Tomahawx Technologies- TomahawX meets clients where they are, and takes them where they need to be.Whether an emerging technology company or an established brand, TomahawX will optimize your go to market strategy, sales processes and team by leveraging comprehensive strategies that reduce time-to-close to exceed revenue and growth plans. Bazin’s on Church- Evoking the feeling of an old bistro, yet with a contemporary twist, Bazin's on Church offers seasonal American menus that pair perfectly with an inviting neighborhood atmosphere, cultivated over nine years doing business in the town of Vienna.